The answer to this question really depends on what you will actually be using the Flour for. There is definitely a distinct between these two types of flour and they should not be substituted for each other. Let me explain the difference between Glutinous Rice Flour vs Rice Flour. 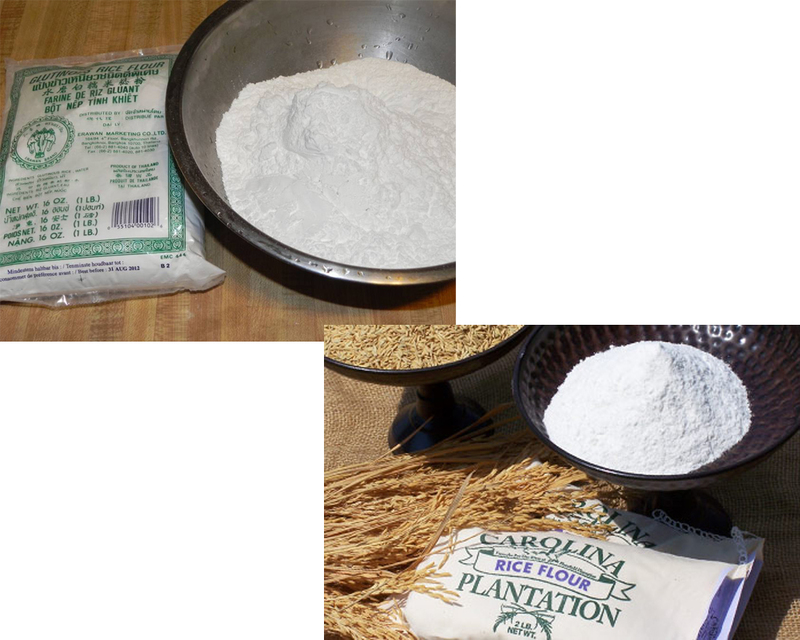 Rice Flour is ground from normal long grain Rice. This is the same kind of Rice that you would use for things like fried Rice or Rice salad as the rice kernels separate easily. 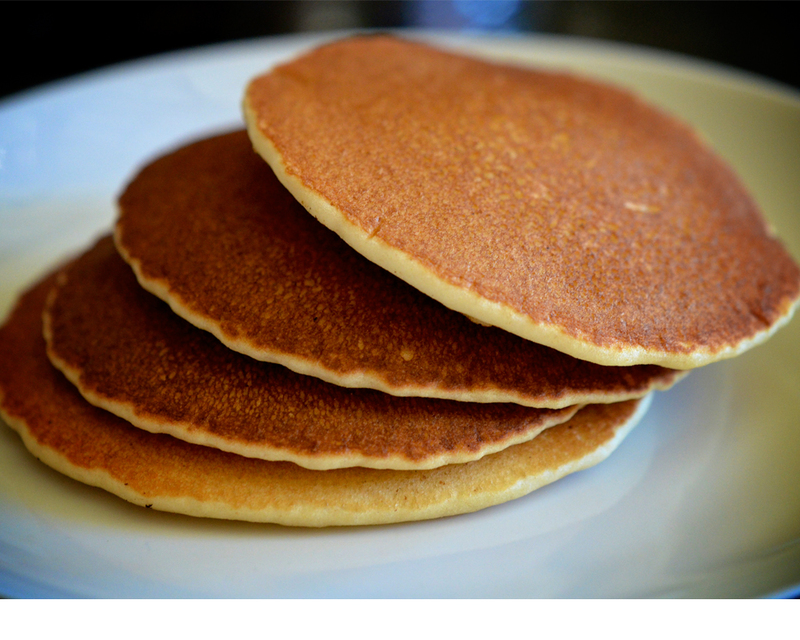 Rice Flour is best used in baking or for making batter for banana or pineapple fritters. When making a batter from Rice Flour you’ll find that it crisps up really nicely. Also it’s one of the key ingredients in shortbread because it allows the shortbread to crumble slightly and gives it that melt in the mouth texture. 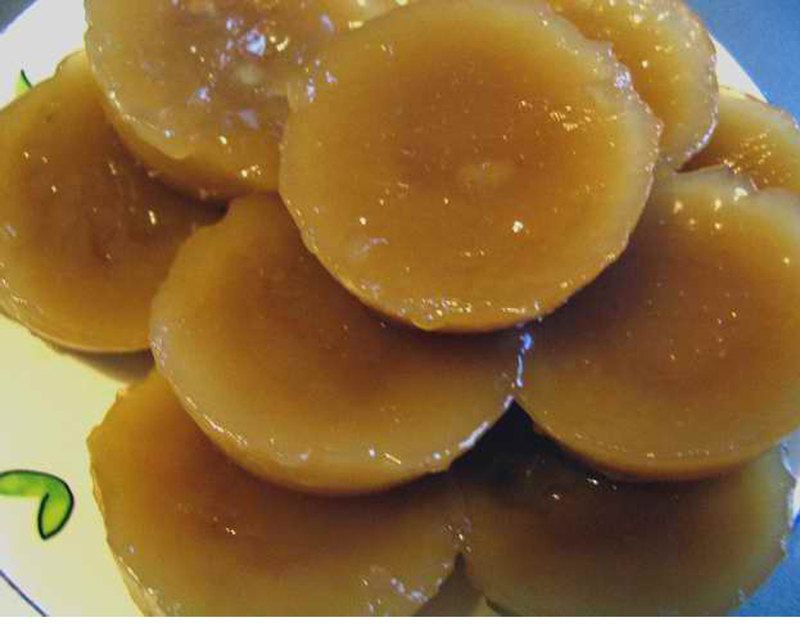 Glutinous Rice Flour, on the other, is made from short grain Rice and can often also be called sweet Rice Flour. This is the same kind of Rice that is often used in Japanase cooking as it sticks together easily for making things like sushi. Don’t be concerned by the name though. Glutinous Rice Flour does not contain gluten but the name refers to the glue like ability of the Flour instead. If you need a Flour to use in sauces such as be chamel or maybe a cheese sauce, then definitely use Glutinous Rice Flour as it has excellent binding and thickening qualities. The four actually becomes sticky when heated. If you’re looking for Glutinous Rice Flour it’s often found in Asian grocery stores and maybe labeled as mochiko. 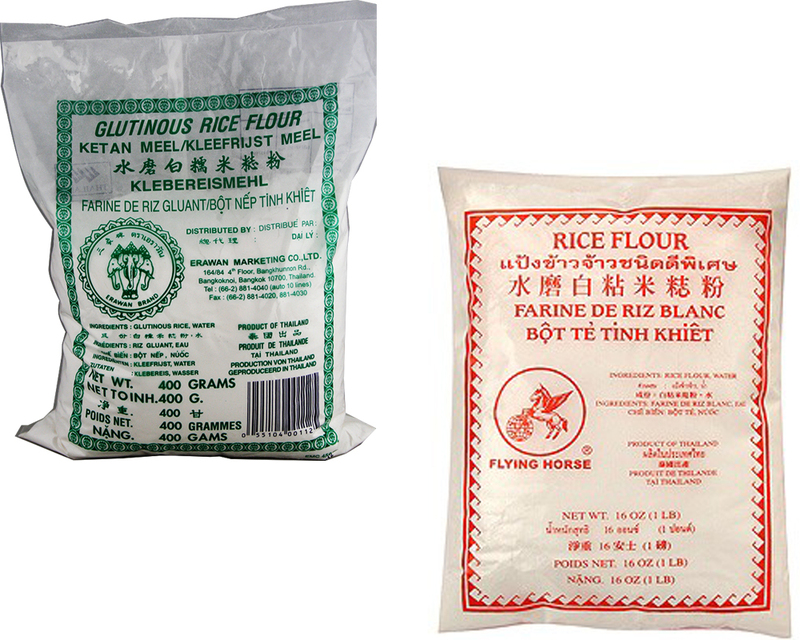 So the difference between Glutinous Rice Flour vs Rice Flour is really quite distinct. Use rice Flour mainly for baking and for batters and Glutinous Rice Flour as sweet Rice Flour as a thickening agent for making sauces or things like rice balls dumpling when you need a good binding agent.